Accredited Seniors Real Estate Specialist *SRES Dorothy Mazeau has been in the real estate business for a long time. A former Architect and a Licensed Realtor, she knows a thing or two about housing! She’s also been homesharing, in one form or another, for over 40 years – it’s her preferred way of living! And being well aware of the reality of the senior housing crisis we face here in North America, Dorothy is convinced that there’s never been a better time than right now to talk about the idea of homesharing. Serving the community through her Canadian online website “Golden GIrls Canada” Dorothy is keen to share her extensive knowledge about the growing trend of those who are 50+ deciding to share accommodations, expenses and a truly “golden” lifestyle. Companionship: The senior years can sometimes be lonely and isolating. Sharing space with a like-minded individual (or several of them) is good for your mental health and helps to combat loneliness which can lead to a whole host of other issues. Eases the Financial Burden: Carrying the costs of a larger home isn’t feasible for some seniors who find themselves on a more limited budget. Having someone to share expenses helps ease this burden. Help around the House: Sharing a home means someone to help with the workload both inside and outside the house. Gardening, vacuuming, even grocery shopping – all are easier when the workload is shared! Security: Knowing you have someone around in case of a medical emergency, or really, any type of crisis, provides peace of mind – not just for you but probably for your extended family too! 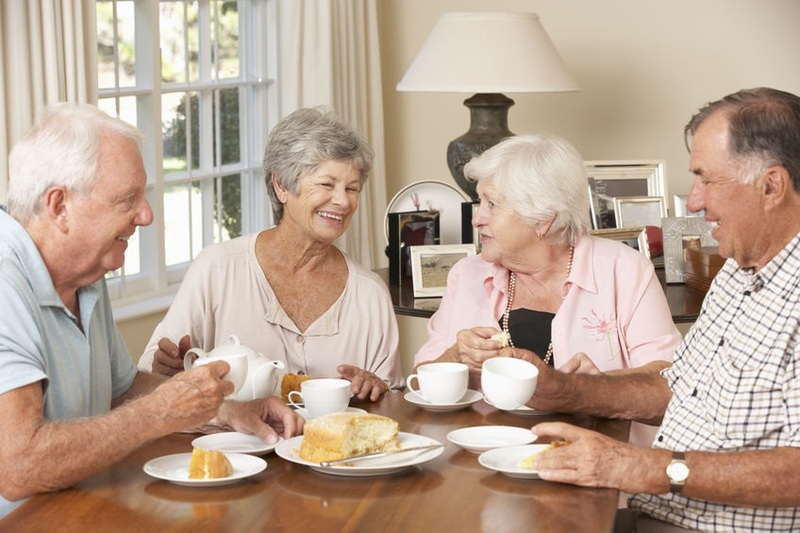 Familiarity: Not having to leave your neighbourhood, your favourite grocery store or place of worship and being able to continue living in an area you are familiar with and where friends and family are located can make the golden years more comfortable. Uprooting oneself and possibly downsizing a lifetime of memories (and furniture!) to fit into one room in a retirement residence is a difficult choice many seniors are forced to face. Imagine if you didn’t have to! If the idea of homesharing sounds appealing to you, consider contacting Dorothy Mazeau by phone 416-550-4015 or email info@ggncanada.ca to talk about all of your questions, concerns and ideas too! She has spent a lifetime in the industry, has lived the life herself and has built an “extensive network of exceptional specialists to help deal with issues facing this segment of the population.” Ask Dorothy what living life “Golden” is like. seniors real estate specialist (SRES) Dorothy Mazeau!